SORRY WE DON’T OFFER MOBILE UNLOCKING ANYMORE! Having a phone these days is a vital part of life, it’s almost become unfathomable to consider modern day life without one. This new found freedom that comes with this technology can be restricted however, most phones are locked down to a carrier which means that you may not be getting the best deal on your device when it comes to monthly bills, or can incur costly charges when using your phone abroad. So why wait? Our Ninja techies are sharpening their unlocking skills as we speak. When it comes to unlocking a cell phone we are your number one choice. In fact we can unlock mobiles on 3, Vodafone, Optus, Virgin, AT & T, Telstra, T Mobile, and many more. Our unlock mobile services start from just $69 and unlocked cell phones have many advantages so use the form above or contact us for more info. Price ranges from $69 to $99 depending on various factors including the network the phone is locked to, the agreement with the phone carrier, the age of the contract, and what phone you have. Below are some general quotes for mobile unlocking with the Australian carriers. Phone companies often advertise the latest technology for very small outright cost. To subsidize the money they lose on the sale of the device itself they make up with contract lock ins. Often you will see a device being sold for even $0 but comes with the baggage of having to sign up for a 12 month or even 24 month plan. Generally the phone you get from these plans are locked to the carrier so you can’t use any other sim card in it e.g. You have a phone locked to Telstra but Optus or Vodafone sim cards will not work in it. The same applies for if you purchase a phone second hand that is locked. When a phone has been unlocked, this means that you can use any other sim card in the device so you can take advantage of better phone account deals. This also comes in handy if you are planning on going overseas as once the phone has been unlocked, you can use a sim card that’s local to where you are to avoid excessive roaming charges. Note that an unlock on a phone means you can use other sim cards, this does not cancel any current contracts you may have with a carrier. You will need to contact your original carrier in order to cancel or pay out a contract to avoid further charges. Although they sound the same, these two phrases are quite different. A locked phone is a phone that can only be used with one carrier eg. Telstra, Optus, Vodafone etc. 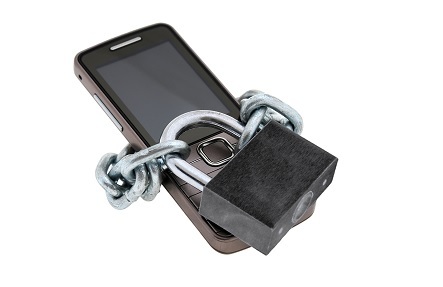 A blocked phone is a phone that has had a block put on it due to either unpaid bills or the device has been lost or stolen. Once a phone has had a block put on it, only the original owner can remove the block by calling their carrier and requesting the block to be removed. That is the only way that a block can be removed, unfortunately we can’t unblock devices. If you have purchased a blocked phone, contact the seller ASAP as often the seller won’t be contactable after the sale of the device leaving the buyer in trouble with a device that they can’t use properly. A block will only effect the GSM capabilities of a device (no calls, text messages or mobile data), the device should still turn on and function. You can check to see if a phone’s IMEI number is blocked in Australia, just visit AMTAs IMEI Checker page and click on the “Check imei status here” link. Once the new window pops up, input your 15 digit imei code that can be found on your phone (or go to the phone keypad and type *#06#) and it will tell you if the device has been blocked. This service only works for Australian devices though so if you have purchased a device that’s blocked by an overseas carrier, the website will give a false reading. Forget the guides on how to unlock phones and phone unlocking codes that promise the world but deliver nothing. Our Ninjas have been out infiltrating the enemy to uncover the secrets to unlocking your mobile. Due to the risks, unlocking a phone is best left to the experts as there is a chance your mobile will be broken. Unlocked phones are often even hard to source due to most mobiles in Australia being sold on plans or pre-paid. Furthermore overseas phones are often cheaper to buy, just make sure you can unlock it before purchasing.